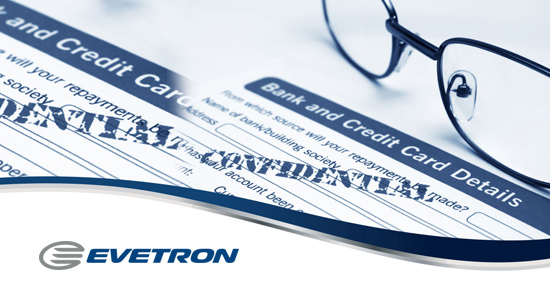 Evetron collects and uses your personal information to give you superior customer service, to provide you with convenient access to our products and services, and to make a wider range of products available to you. In addition, we use your personal information to keep you up to date on the latest product announcements, software updates, special offers, and other information we think you'd like to hear about. From time to time, we may also use your personal information to contact you to participate in a market research survey, so that we can gauge customer satisfaction and develop better products. We collect information about you in several ways. For example, we might ask for your contact information when you correspond with us, call us to make a purchase or request service, register your product warranty, or participate in an online survey. Evetron safeguards the security of the data you send us with physical, electronic, and managerial procedures. We urge you to take every precaution to protect your personal data when you are on the Internet. A home or other physical address, including a street name and name of the city or town. When you browse Evetron's website, you are able to do so anonymously. Generally, we don't collect personal information when you browse - not even your email address. Your browser, however, does automatically tell us the type of computer and operating system you are using. In some of our emails to you, we use a "click-through URL." When you click one of these URLs, you pass through our web server before arriving at the website that is your destination. We track click-throughs to help us determine your interest in particular topics and measure the effectiveness of our customer communications. Evetron does not knowingly solicit personal information from children or send them requests for personal information. Evetron's website contains links to other sites. Evetron does not share your personal information with those websites and is not responsible for their privacy practices. We encourage you to learn about the privacy policies of those companies.